There is no need to stress the importance of education and this is not lost with the children and students of Bahir Dar. The desire to learn is overwhelming and for most the only thing that holds them back is the cost. Giving the funds to allow them to learn is a gift that is appreciated beyond words. Many of the students will have parents or younger siblings that they are looking after and will be up late into the night studying, but they always arrive at school/university the next day eager to learn with a huge smile. Many of the children, even in day care, will have chores to do such as collecting wood or water before coming to school. For 2009-2010 with your help we sent two children to school and provided eight students with help towards university. Kulani Tassisa is in her 3rd year and your support has paid for rent and food and tuition fees for the year. Birhanu Dingata is in her 3rd year and your support has paid for rent and food and tuition fees for the year. Tamasgen Assaye is in his 3rd year and your support has paid for his tuition fees for the year. 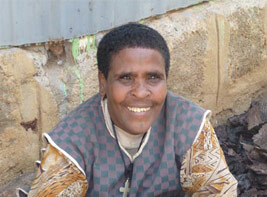 Gemechu Kalebu needed support for just 3 months to finish his course and your support helped with rent and food. Yadi Asda is in her 3rd year and your support has paid for rent, food and tuition fees for the year. Lamesa Ragasa Gelta is in his 2nd year and your support has paid for rent and food and tuition fees for the year. Yenguse Yaze is in her first year of a nursing course and your support has paid for rent, food and tuition fees for the year. We also supported Emwesh with training materials and transport costs while she is at university and your support will cover the year. We were also able to send two children to the Catholic school and your support covers tuition fees and lunch each day. The funding for education is paid each year, the difficulty being continuing the support year on year. Many more would like support and as soon as one graduates we look to support another. This year we met up with Tigust who graduated in 2009. She now has a full time job working in a pharmacy in town and was very proud to show us where she works.